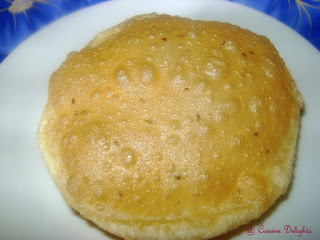 Its the time to mansoon, raining outside and you want to something piping hot, crunchy-munchy snacks in evening or dinner. At that time we don't mind fried stuff to satisfy our craving. 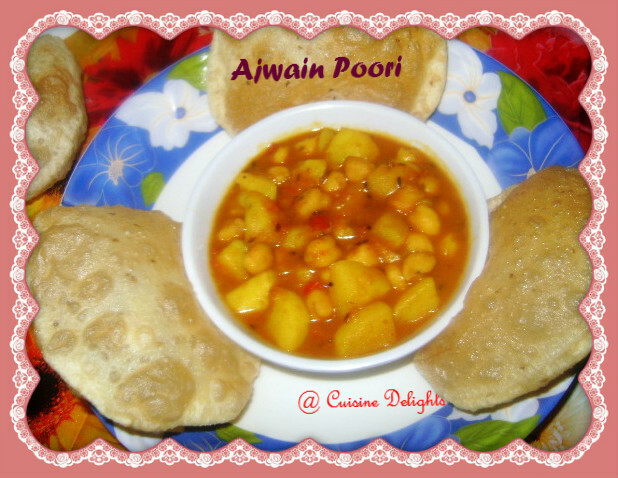 So guys I made ajwain (carom seeds) poori which came out so crunchy and aroma of fried poori's was just amazing. I serve it with Chana masala. Even can have it with pickel and raita also. Take all the ingredients except oil in a bowl. Mix well with your hand. 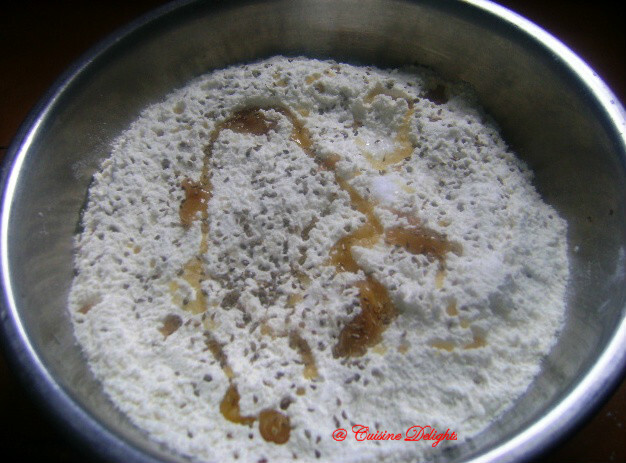 Add water and start mixing, make dough. At the end of making dough apply oil in your hand and make a tight dough. Now take a lemon size ball. 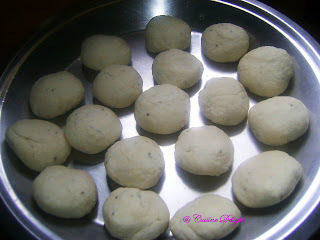 Roll the poori in small size. Heat oil in a vessel, slip poori in hot oil slowly. Fry the both size until brown. 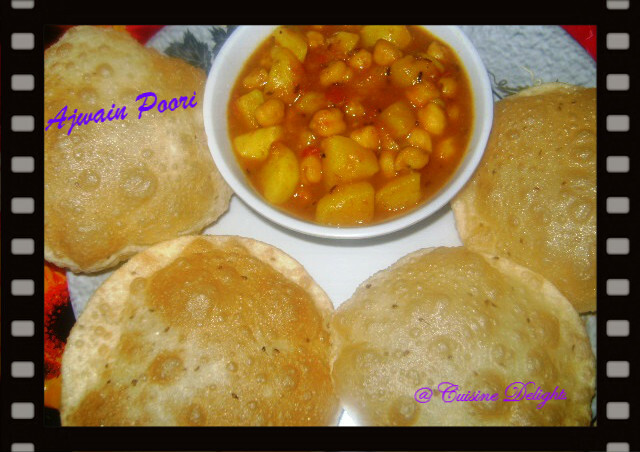 I served it with Chana Masala..
1. You can add more salt and carom seeds if you like strong flavor. 2. Check oil with small pinch of dough. Oil should not be too hot or just warm.